This winter our school has been shut down approximately 90,000 days for bad weather. We’ve had school cancellations for snow and cold, and today, ice. Ninety thousand days. Additionally, there are three hundred billion cubic yards of snow piled up in our yard that has been there for three thousand years. When the roads are bad we don’t go to the mall, the movies, nor even to Target. We stay in all day. My kids and I are home together. On sunny days after the snow is done falling, the kids ask to put on their winter gear so they can go outside. I always say yes. Sometimes I suggest the option of them going outside. They always agree. When they were little I would suggest things to do so we could keep busy together. I made snacks and lunch and mugs of hot chocolate until I organized games and Lego and Polly Pockets marathons. I would bundle the three of us up for a half hour of playtime in the snow. We snuggled on the couch and watched movies and ate popcorn and candy. Now that they are older they hole up in the basement and play video games that other parents refuse to let their children play and watch TV that they’ve seen a thousand times before and stay in their pajamas and they ask for pancakes and I tell them how to make pancakes. And I do all the things that I do when they are at school and my day really doesn’t change. I don’t even sleep in, because I like getting up early because they don’t get me up early anymore. It’s their turn to sleep in. Then they have friends over and go to friends’ houses and my guilt buries itself under my relief for another snow/cold/ice day. Because they are occupied. And my conscience doesn’t nag at me anymore. And my #1 Mom status is restored and I can proudly display my World's Best Mom trophy again. It's my dream for my kids to be able to occupy themselves without a) getting hurt b) me feel guilty. Pass me that trophy please. It will happen amazingly and all at once. And if you did not expect it, you may feel forlorn and adrift like me. I'm with you - snow days are awesome now!!! If the boys want to go out in the cold snow (rare!) than more power to them - I will be inside!!! I did play Monopoly this afternoon, though because now that they are teens it is not often that they want to hang out with me!! My burgeoning teens are willing to hang out with me as long as I am open to snacks and drinks. Yes. Take them when you can get them. Sometimes my guilt tells me that I've let them become too independent. Which is ridiculous, of course. 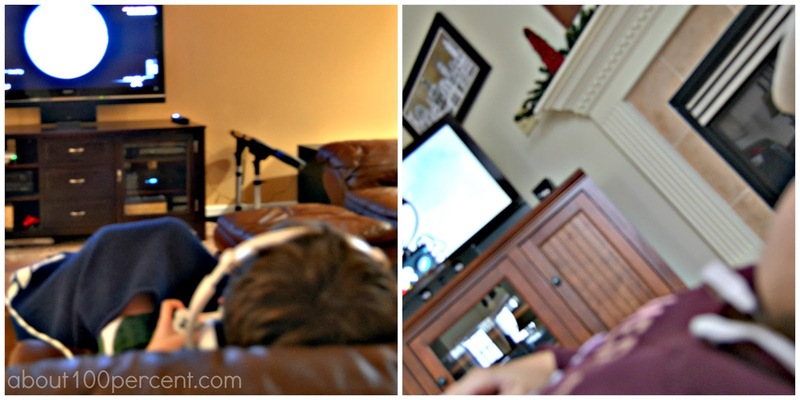 It's snow day 14 - FOURTEEN - here in Kentucky, and my kids are decidedly NOT old enough to occupy themselves. Today is the day I'm going to learn to cross stitch. My first project will be a rather large wall hanging that says "Abandon all hope ye who enter here." That much forced togetherness can drive anyone crazy! No wonder you are rejoicing in your children finding something to do themselves - all your fabulous ideas were dried up before you reached snow day 10,000, much less 90,000! Enjoy some time to yourself and look forward to a restoration of your schedule! Most importantly, hang in there!!!! Yes, thank you!! It's way beyond stir crazy now. I hear from people who say that they get so much done at home during these weather events, and I'm like, eh? I'm one day away from rocking in the corner.